Happy Monday, world. Yes, I realize it is Monday and this is not, technically, a Monday Menu entry. However, this entry is, indeed, connected to Menus as a continuation of last week. Cost Plus, I think, leapt forward as my new best friend this year, as I celebrated my 2012 birthday a couple of weeks ago. After discussing Cafe du Monde in my last post, and proclaiming officially that everyone’s annual celebration of natality must absolutely involve Birthday Beignets, I had to stipulate, in regards to my own birth’s anniversary, that the proclamation would have to wait until next year to go into effect. Sigh. So sad, right? Whereupon boxes of the said mix were duly procured. 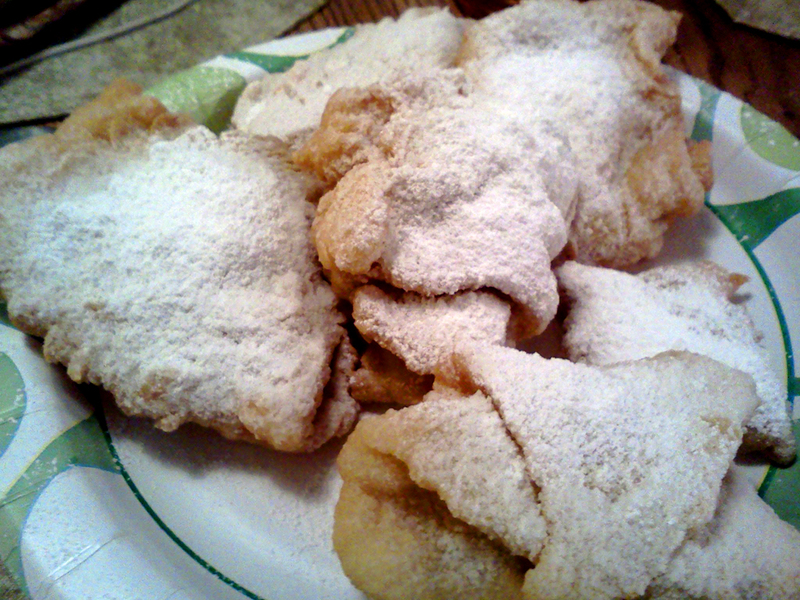 And I got birthday beignets this year, after all. Oh, happy day!!! Thus, after a nice celebratory lunch date with J, during which we gorged ourselves on Indian Food and a glass of wine in Fort Collins because we hadn’t had it in a very long time and it’s one of our favorite things (Indian food, I mean, although wine is another favorite, yuk yuk), we returned home to the fam and beignet-fryin’, along with a brilliant mess of flour and dough and powdered sugar, commenced. 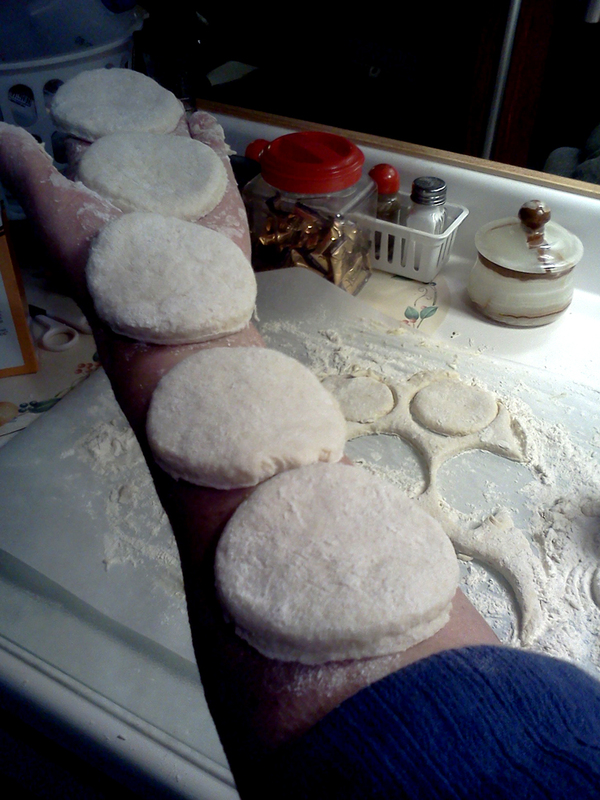 Then the dough got flattened. I swear, Cafe du Monde’s beignet mix results in the softest and silkiest dough I have ever had the pleasure of mooshing through my fingers. It’s so SMOOVE that it’s downright schmexy. Truly. 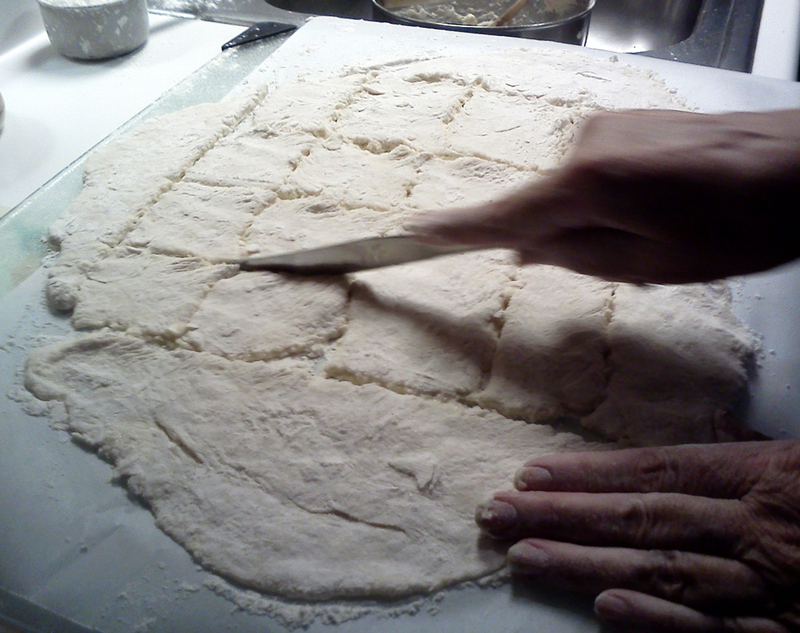 Then, Batch #1 was cut into squares. 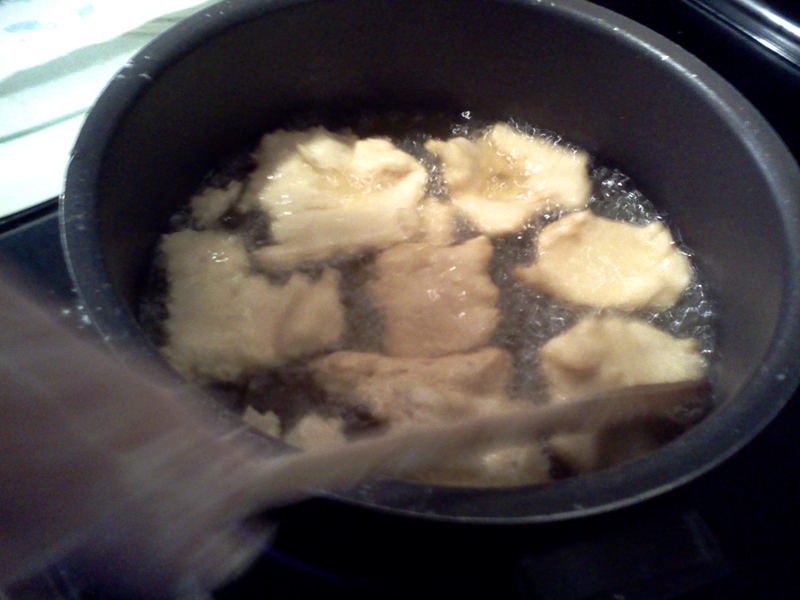 And then the squares were dumped in the good ol’ fryin’ grease. This sight is a thing of beauty and a joy to behold! And, lo! Birthday Beignets! I loved how this first batch came out. We flatted out the dough a little too thin, I suppose – so I did this cool thing where I took some of the squares and layered them up. This resulted, upon frying, in this multi-layered fluffy delight, and they tasted just as they should. After Batch #1 was heartily consumed, we set forth on batch #2. This time, we decided to go Round. What the heck, right? We were gettin’ crazy up in this house. The Round Ones were tasty too. 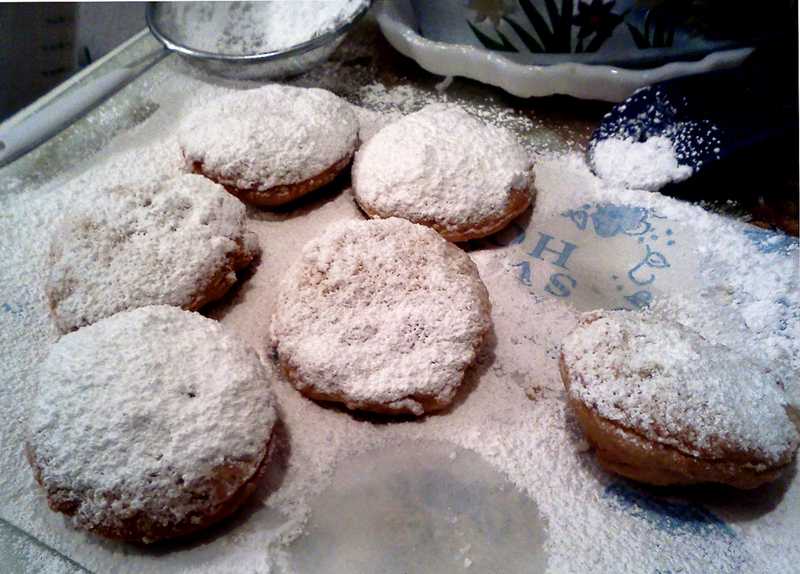 While they didn’t maintain that beignet-y fluffiness, their denseness would make an excellent vehicle in the mornings with honey or jam. 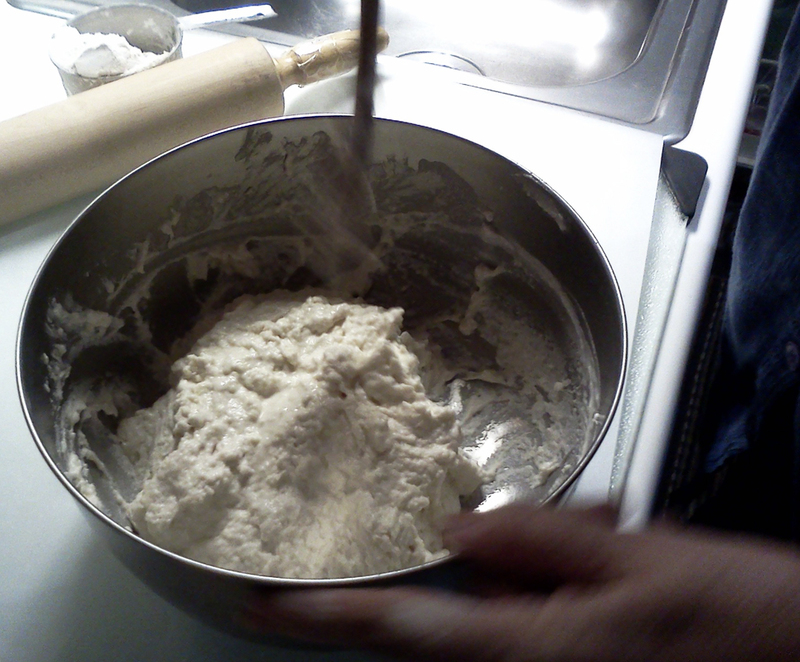 It was about this time that J proposed the idea of making Monte Cristo sandwiches using beignet dough. Not a bad idea, and one that we will further investigate someday down the line, I’m sure. There is one missing. It’s hard to miss that evidence! 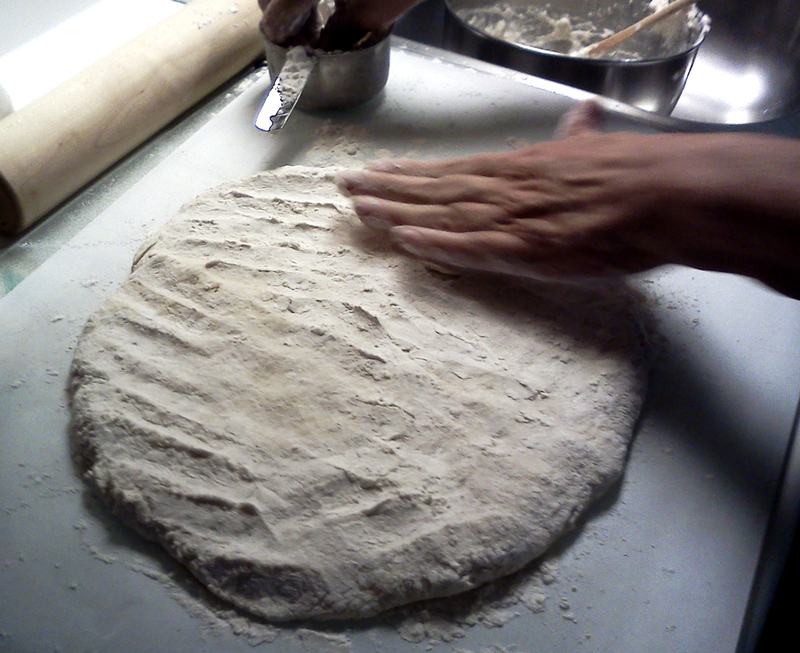 So, dough and flour and sugary joy! J even offered to turn the AC unit on me full blast to obtain that Sugar-Blowing-On-You-From-The-River-Breeze effect, but I declined. We all ate so many beignets! So many! And, about now, more are sounding pretty good. So, a happy merry birthday indeed…and the Birthday Beignet tradition now has solid footing, and shall continue forthwith! Thank you!!!!! Scoring some beignets way out here made it even bettah! And can you believe I’ll be back down on home turf in less than a month now? So excited, time flies so fast!